Editor's Note: Conscious Magazine and This Good World are teaming up to share a monthly guide all about “spending time and money consciously in cities all across the US". Find out more about TGW and check out their feature here. This Good World: We are a search + discovery platform for businesses doing good things and we're bottled up with excitement to share these handpicked stories with you. Follow us at This Good World. 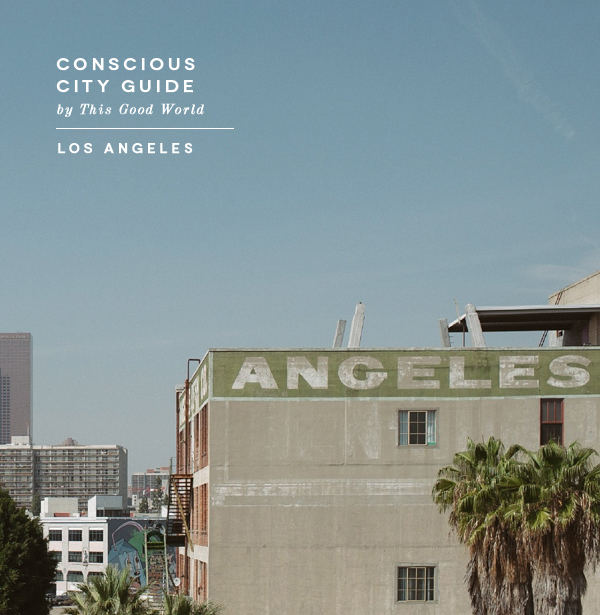 With the recent print release of Conscious Magazine's LA edition, we thought it would be the perfect fit this month to highlight some of the amazing things a handful of our LA members are up to. There are a lot of businesses stirring up a lot of good in LA. So, whether you consider the city of angels your home sweet home, are visiting and looking to support places that care about the things you care about, or dig discovering socially conscious businesses coast to coast, please check these fine establishments out. If you're a bag and accessories nut (guilty) you must check out Stone + Cloth's line of utility-based goods. First thing to know about is their #carryaneducation campaign. Each purchase contributes to funding scholarships for students in need – think tuition, school supplies and lunch programs. Stone + Cloth also creates all of their products within 10 miles of the office. Rucksacks, iPad cases, even fanny packs. Founder Matt Clough has created a brand that encourages exploration, style and supporting education for all. This Bar Saves Lives does just that, literally. Plus, their snack bars are ridiculously good. For every bar purchased they give a packet of food to a child in need somewhere around the world working with their partners, Edesia Global Nutrition, Save the Children and Ananse Village. Oh, and they're non-GMO, too. For your mid-day snack or if you're having a hangry attack, bring This Bar Saves Lives with you. Use their store locator to find them across the country, or buy a bunch online. Fan of action sports? Stoked LA (Stoked.org) may be the perfect organization with which to get involved if you're an adrenaline junky looking to do some good in LA. STOKED is a non-profit youth development agency with locations in both LA and NY that creates opportunity for underserved youth through the action sports culture. STOKED was founded on the belief that the courage and perseverance needed to learn action sports would be an ideal way to teach life skills to youth from disadvantaged urban communities. Together with their team of Igniters and volunteers, Stoked has directly impacted over 3,500 underserved children since their launch in 2005. You can learn how to support Stoked through volunteerism, Igniter support or through spreading the word at the links below. Looking for a brew to quench your conscious thirst in LA? Look no further than Golden Road Brewing. With 5 year round, multiple seasonals and many, many specialty draft beers on tap at their brewery and brew pub, you're sure to find a delicious way to support a company that is good to its core. Slow food done fast. That's the Tender Green way. Looking for delicious, sustainable food options in LA? One of Tender Greens' LA location is a great choice. Tender Greens believes there should be a conscious connection between the one who eats the food and the source of that sustenance. Farm to fork is in the Tender Greens DNA. Beyond sustainable food, Tender Greens locations are active in their communities and serve up great social initiatives to go along with all those delicious eats. One such example, The Sustainable Life Project (SLP), provides a structured working and learning environment to emancipated foster youth with the goal of guiding and supporting them through a critical transitionary period in order to help them become empowered, self-sufficient adults. Family run (husband, wife, daughter team...go! ), Paper or Plastic provides all of your caffeine needs along with breakfast, lunch and dinner. In the heart of LA, and sitting right on the corner of Pico and Ogden, just look for their big red sign and you’ve arrived. Adjacent to PoP is a multi-purpose creative space, Mimoda, so there's always a vibe of activity and creativity in the air. A true neighborhood spot, PoP consciously works to make the establishment a ‘social staple’. PoP works directly with small farmers, local bakeries, and roasters (Handsome coffee, Cake Monkey and Sweets for the Soul). Their coffee is served up third wave style, so enjoy the hustle and bustle of the neighborhood and soak up LA. A home-grown coffee micro-roaster, each cup brewed to order. 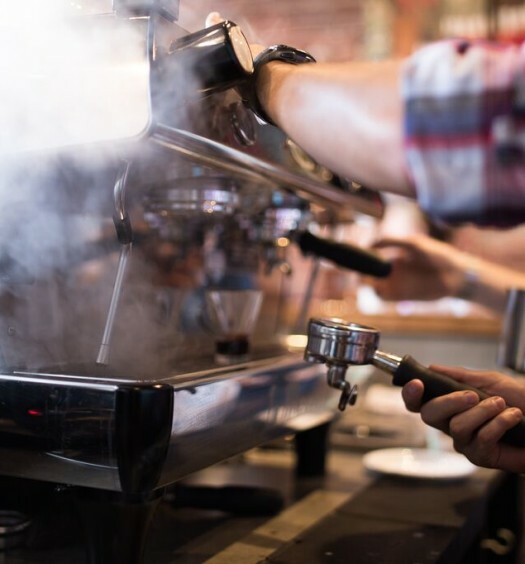 Community is a big deal for Demitasse and host cuppings, brew classes and events throughout the year. Demitasse gives their staff free bags of coffee from different roasters every month. They also donate day-old pastries to the local homeless shelter, along with frequent coffee donations across the city. Demitasse uses a crazy steampunk brewing system which makes your wait super visual. And the coffee is that good. Founders Adam and Antone clearly love their town. LA Coffee Club host events that celebrate the coffee culture of LA by organizing coffee table conversations and workshops, live music and beyond. They’re also really excitable people. Delivered fresh to your door, the LA Coffee Club serves up a monthly coffee subscription featuring only local roasters. They're talking local, variety and freshness. Adam and Antone aim to bring a greater awareness to the community and grow a wider audience into the artisanal scene. Some recent features have been Intelligentsia, Augie's and Wildgoose. Thanks and we look forward to bringing you another fresh city next month! In the meantime, you can check out many more businesses doing good things all across the US at thisgoodworld.com. Act Are you a business doing good things? Join This Good World. At Conscious, we are inspired by remarkable people, and so we set out to tell stories that highlight real human interactions and human dignity. 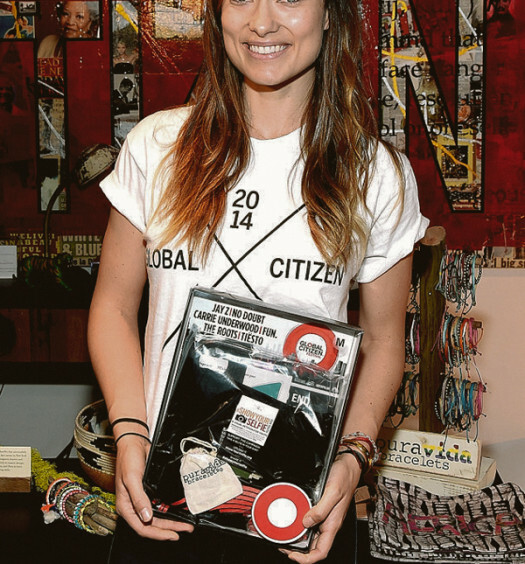 You can read more stories like this when you pick up your copy of Conscious Magazine. 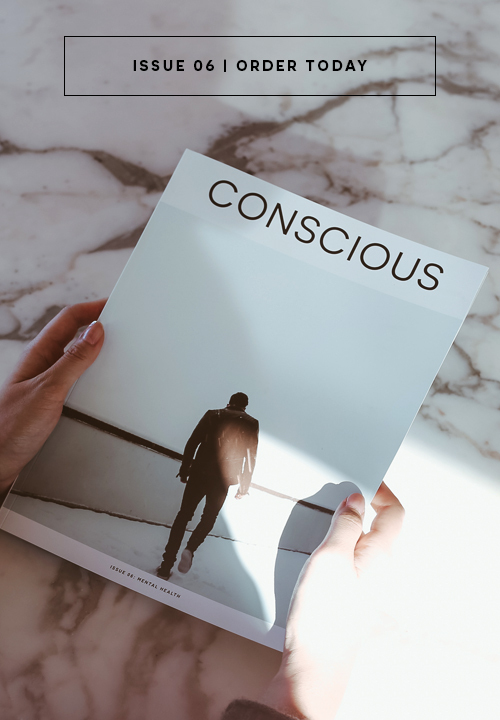 Subscribe today via our Conscious Shop and subscribe to Conscious Updates. This Good World is a search + discovery platform that highlights and supports businesses doing good things.